Dance is a performance skill and it is amazing to see our beautiful students perform on stage, from our little three year olds to our adults! They are so confident and love to perform for the audience. Each December our students have the opportunity to perform in our annual Holiday Show, which is based on a children’s book or movie. 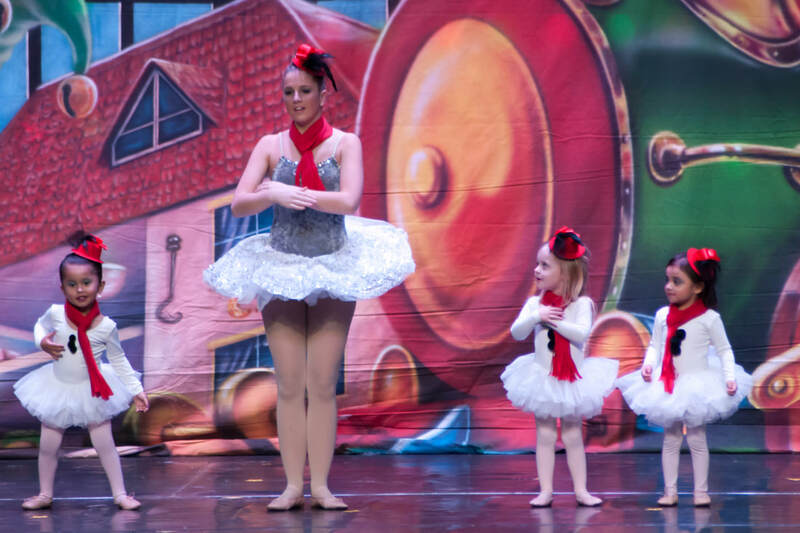 We always have our little three year olds dance as snowmen and our four year olds dance to the song, Suzy Snowflake. 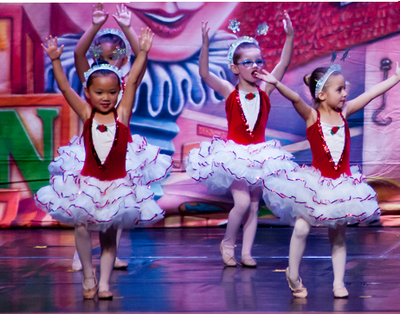 Our youngest performers always delight the audience when they perform on stage. Our annual recital is held in the spring. This show is based on a theme and it highlights the accomplishments of our dedicated and talented students. The students begin learning the choreography for their dances in March, while continuing to learn their technique in class. J.J. Hester, of Hester Academy of Dance, provides our students the opportunity to compete in the North American Feis competitions and for community events during the year. Many performances are scheduled throughout the year, with the majority of them scheduled in March around St. Patrick’s Day. The Company Dancers present their annual Gala in May, which showcases their competition dances for their family and friends. They also have the opportunity to perform in events, such as Hopewell’s Community Day and in Alloway’s Halloween Parade. Each February the teen and advanced companies provide the entertainment for The Miss Cumberland County Pageant. Our studio has been invited for the last six years to perform in the Miss America’s Show Us Your Shoes Parade, which is held in September in Atlantic City. Dancers must be at least nine years old and proficient in dance. Auditions for this event are held in June for this event.